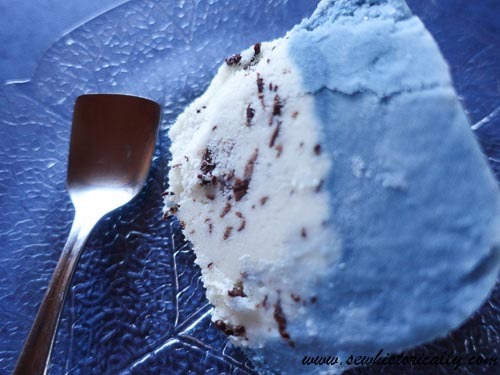 I made naturally colored blue ice cream again! Yay! 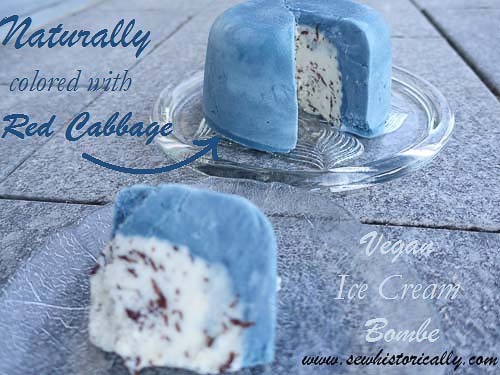 😀 The ice cream is naturally colored blue with my homemade blue food coloring (made with red cabbage & baking soda). 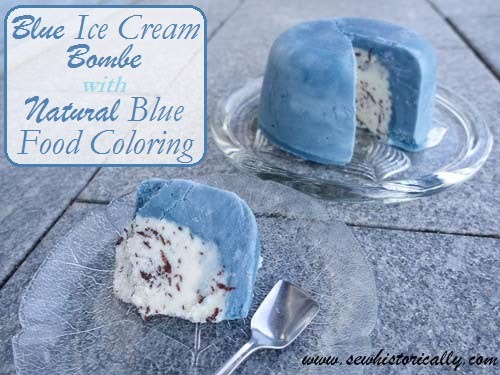 This time I made a vegan blue ice cream bombe with homemade vegan stracciatella ice cream and vegan blue ice cream flavored with vanilla bean and rum. 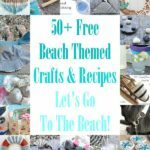 Lina, I saw the thumbnail and just had to follow the link to check it out! The blue cake is wonderful. The color is terrific. I thought it was going to be blueberries for color. Thanks for sharing. 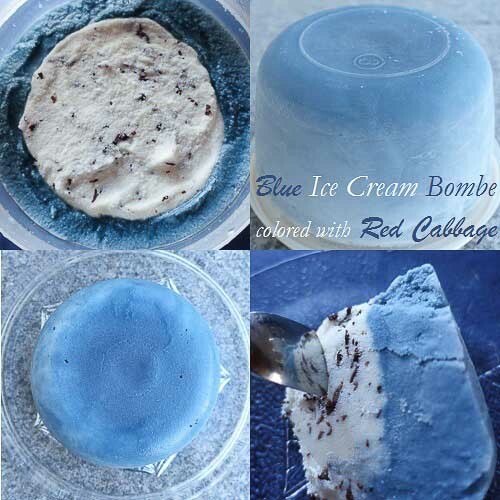 Sylvia D.
That’s so neat that you can make blue ice cream and naturally too. It looks fun and delicious! 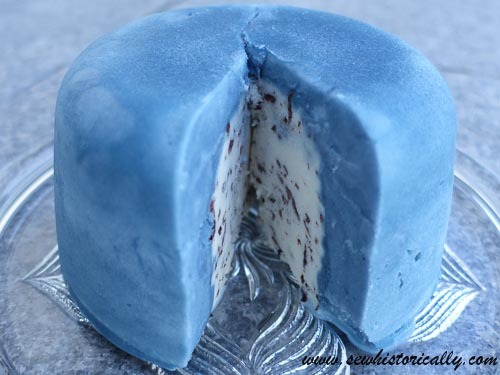 I want to make a dairy free I’ve cream and turn it blue for my son’s birthday. Does the rum make this an adults only treat? 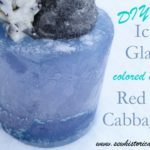 Is there a way to mask the cabbage taste that is more appropriate for children?